Phil Jordan was elected as an Independent Isle of Wight councillor in the May 2013 local elections. He sat on the Executive Committee as member for Public Health and Public Protection and PFI, but in December 2016 he resigned from the Executive. Below are some articles in which he is mentioned. 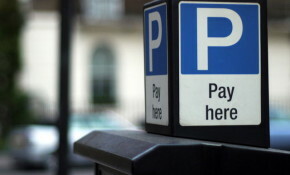 Cllr Jordan believes the Isle of Wight "needs a proper parking strategy that is tailored to different areas". Cllr Whittle says the current strategy seems to work well. A target to raise £2,000 for Isle of Wight Foodbank and Isle of Wight Red Box project led to several councillors flipping pancakes yesterday. More within. Former Executive member, Phil Jordan, who has an indepth knowledge of the situation on Undercliff Drive, explains why the Leader's claims of reopening the road are extremely premature. Cllr Phil Jordan, who resigned as an Executive Member at Isle of Wight council after being caught drink driving, was today found guilty and sentenced to a ban. Conservatives rushed to accuse the Independent leadership of trying to cover things up, when he says the Executive reshuffle had been planned for sometime, but brought forward due to Cllr Jordan's circumstances. Cllr Jordan speaks to OnTheWight after being charged for drink driving and standing down as Executive member. In the lead up to the clear focus on regeneration over the coming months, the leader of the Isle of Wight council has restructured the Executive. Pupils were amazed at the transformation of the former primary school and delighted the eight units will be let at below market rents. The conclusions of the consultant's report will be discussed at Isle of Wight council's Executive meeting next week. Ahead of the new ASDA being built, the road layout improvements will be carried out in phases and starts in August. The Isle of Wight Domestic Abuse Forum is working in partnership with Island charities at this year’s Isle of Wight Festival to raise awareness of domestic abuse, consent and sexual assault issues. Question marks over pedestrian and cycle access through the currently closed section of Undercliff Drive have been raised after confusing comments were left by Island Roads on their planning application. OnTheWight has sought clarification from the council.